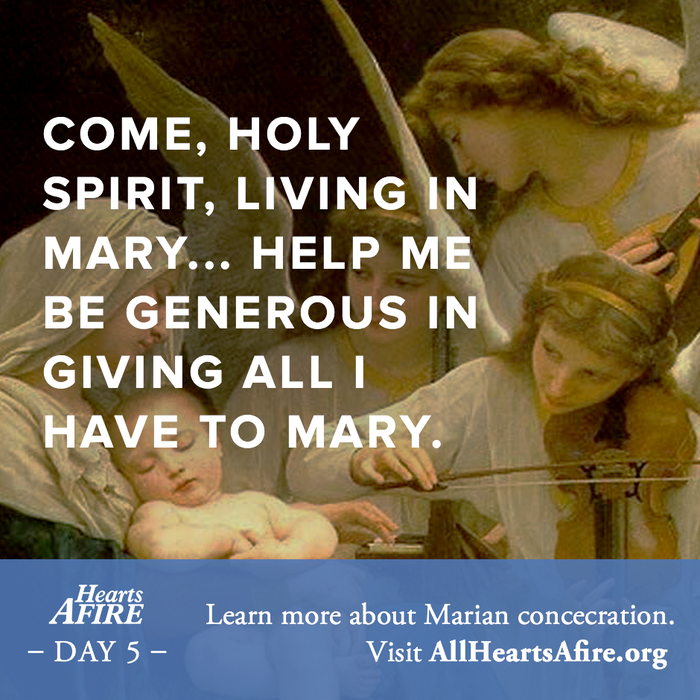 Day 5 and 6: Should we really give everything to Mary? 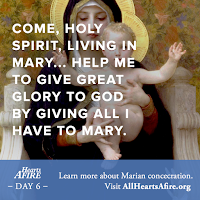 I think this is where so many people struggle with the Marian Consecration. 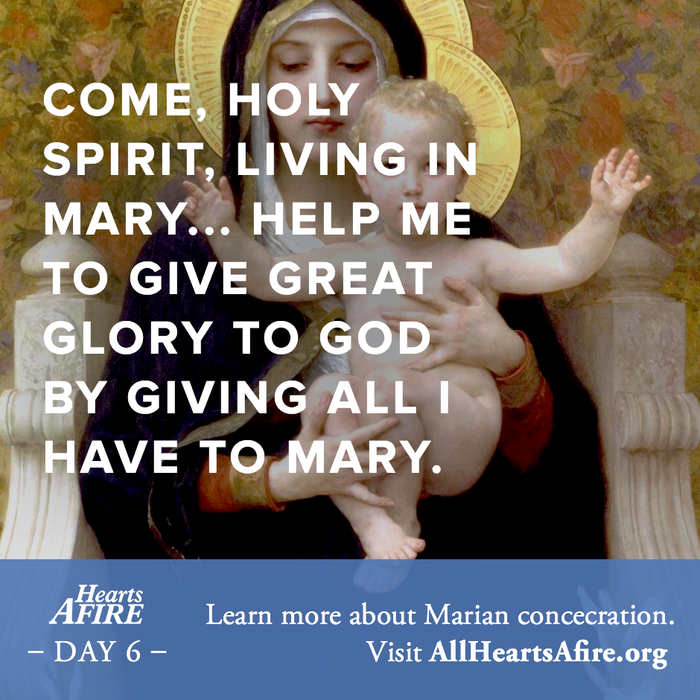 What I took from this teaching is that Mary can make our gifts/merits/works more perfect when she offers them to God on our behalf. She has a generous spirit, something I need to work on myself. Additionally, she know where our prayers should go. Although we may be praying for a specific cause, she would know if there is a more urgent cause that needs our prayers. She also knows our hearts and will not let our loved ones go without our prayers. Thinking about her as my mother who knows best helps me not have problems with her taking my prayers and distributing them as she sees fit. One of the suggestions the book makes it to get to know Mary better. How can we do that? Last Lent I studied Mary in The Bible and the Virgin Mary and read Hail, Holy Queen by Scott Hahn. Together I got a much better understanding of her, but I will be honest that most of it escapes my memory. I have a difficult time with retention. However, that was intellectual reading. I would rather get to know Mother Mary on an emotional level, and to do that I need to start carving out time to say a rosary. This morning, on my way to Mass, I said a rosary. I drove slow enough that I was able to say the entire rosary by the time we pulled into a parking spot. 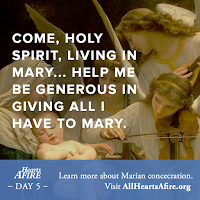 Even if I am only able to say one rosary a week for now, I think this is a great way to do it. I may also try saying a rosary tomorrow during my drive to work. It is a shorter drive, but I can split it up and finish it on the way home. There really isn't a wrong way to get a rosary in.